5 fun challenges to grow your savings in 2018. 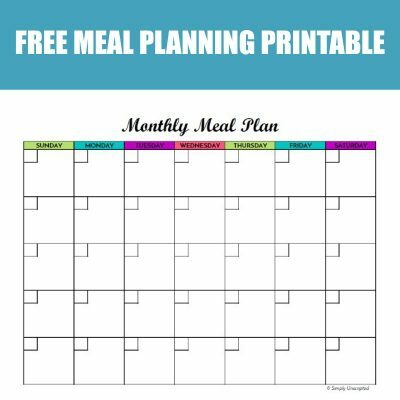 Save more with these daily, weekly, and monthly money saving challenge options with free printables! Whether you are working on building your emergency fund, to pay off debt, or any other savings goals, these printables have you covered. I’ve included my favorite savings challenges that range from daily, weekly, or even monthly saving options. Grow your savings and transform your finances! Pennies add up! In this challenge, you start with $.01 and each day add another penny. So day 2 is $.02, day 3 is $.03, and all the way up to $3.65 per day. $3.65 is the highest per day savings amount, which is totally doable! At the end of the year you’ll have a grand total of $667.95. READ MORE: Join the Penny Challenge and get the printable here. An emergency fund protects you from the curve balls that can derail your budget. This challenge builds an emergency fund of $1,050 in one year. The monthly amounts vary but they monthly savings starts and ends with just $25 a month (so it’s easier to save around the holidays). The highest savings amounts are in the summer. READ MORE: Learn about the 12 Month Emergency Fund Challenge and get the printable here. This challenge will help you build an emergency fund/savings of $1,000 over the course of a year. It starts at just $10 a week for the first few weeks so you can get accustomed to saving! The remaining weeks are a manageable $20 a week. The best part? There’s no dates involved, so you can start this challenge any time of the year! READ MORE: Learn more about the 52 Week – $1,000 Savings Challenge and get the printable here. I love this fun bingo-style savings challenge from Medium Sized Family! The random dollar amounts gives you flexibility in saving and keeps it fun. Each week you cross one of the savings boxes. There’s even a freebie week of $0 for when life is unpredictable! 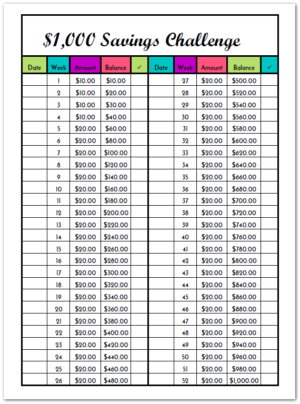 READ MORE: Learn about this 52 week/$1,000 savings challenge and get the printable here. Looking for a smaller challenge to get started? This savings challenge works towards $520, which is a great amount to start your emergency fund when money is tight! At just $10 per week, this weekly challenge can be started any time of year. READ MORE: Learn more about the $10 savings challenge and get the printable here. Start saving money today with these printables. Want some ideas on how to find even more money to save?